What is Amana Capital Asset Managers Program? Amana Capital works hard to setup special solutions and unique trading environments for Asset Managers, enabling them to manage clients’ accounts easily. As an asset manager you will have direct access to the company’s global network of international banks and financial institutions liquidity without trade size restrictions. Amana Capital multi-account management solutions are specifically designed and tailored to meet your business interest. These tools enable you to send block orders under one main/master account using a single MetaTrader 4 (MT4) interface (account). The orders are sent to a system that is programmed to allocate trades proportionally to separate client accounts according to clients’ needs. Obviously, such a solution is perfect for you in case you manage more than one account. 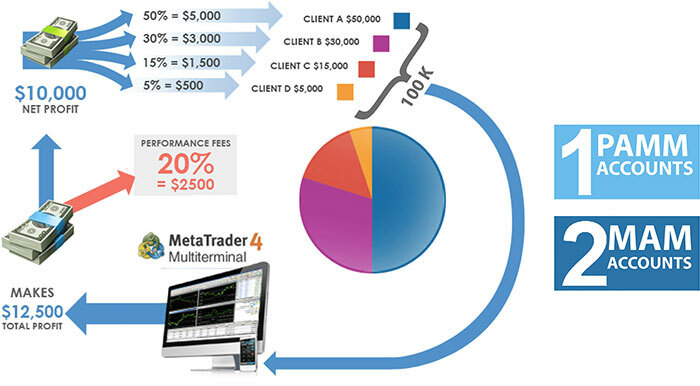 The ability to trade Block Orders from a single main account using MetaTrader 4 (MT4) platform. Percent Allocation Management Module (PAMM) enabling unlimited number of managed accounts simultaneously from only one Metarader 4 account. Dedicated MAM servers with very low latency. First Name First Name is required and must be a letters. Last Name Last Name is required and must be a letters. Your Email Address will be the primary method to contact you. Please make sure you enter a valid Email Address.